Mobile and participatory cultures have led to widespread change in the way we communicate; emphasizing user generated content and digital multimedia. In this environment, informal learning may occur through digital and networked activities, with literacy no longer limited to alphabetic and character-based texts. This article explores adult learners' new literacies within the context of a digital mobile storytelling project. A qualitative approach is used to explore the artifacts and practices of nine adult participants who comprise the study. Participants created a range of fiction, non-fiction, poetry and diary-style content in a variety of modes and media. Outcomes from content analysis, interview and survey methods depict mobile digital literacies as characteristically situated, experiential and multimodal. The mobile and participatory nature of this project was catalytic to participants' imaginative re-interpretation of the world around them as sources for meaning making and transformation. 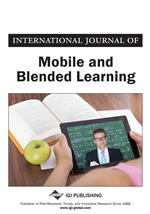 This paper contributes a case example of mobile learning with adults in a community setting. Mobile learning – as we understand it – is not about delivering content to mobile devices but, instead about the processes of coming to know and being able to operate successfully in, and across, new and ever-changing contexts and learning spaces. And, it is about understanding and knowing how to utilize our everyday life-worlds as learning spaces (Pachler, Bachmair, Cook, & Kress, 2010, p. 6). Social media, web 2.0 applications and mobile devices have come to characterise a digital landscape that affords people with new ways to interact, communicate and learn. The communication culture and the artefacts that comprise it are often participatory, visual, and multimodal in nature. Mobile devices are just one tool through which people navigate these new semiotic surrounds. The technical convergence that typifies later generations of mobile devices has privileged digital media (e.g. video) and multimodal content (e.g. image, video, sound) over traditional written text. People now have the tools with which to produce and share their own multimedia culture and meanings (Dyson, Litchfield, & Raban, 2010). User-generated content platforms form an environment that supports widespread participatory culture: non-experts are able to create and share new content online (Jenkins, Purushotma, Weigel, Clinton, & Robison, 2009; Merchant, 2009). Mobile devices are one gateway to participating in such a culture, with participation and authoring behaviours acquired and honed outside of educational institutions such as schools, universities or online courses. Educational research has long recognized the importance and legitimacy of learning that ‘occurs without the presence of externally imposed curricula criteria […] in any context outside the pre-established curricula of educative institutions’ (Livingstone, 2001, p. 1). Outside the boundaries of the educational institution, converged media and their associated cultural practices have had a transformative effect on learning (Pachler et al., 2010). Though participatory learning innovations such as crowd learning, maker culture and citizen inquiry are in their ascendency, these have yet to leave a marked impact on education or educational research (Sharples et al., 2013). Into this context the question is not whether learning is occurring informally through new social networks, technologies, media and cultural practice, but how it is occurring. How do adults who are not enrolled within an educational program, who have no set curricula and are untethered from the established sequence of learning outcomes, assessment and learning activities, utilize their everyday life-worlds and their technologies of choice as tools for learning in these spaces? Answering this question is difficult. The unbounded and informal nature of mobile learning that takes place within everyday settings presents numerous methodological challenges (Sharples, 2009; Traxler, 2009). Mobile learning that is characteristically informal, personalized and situated may have too many variables and present too much noise or too little signal (Traxler, 2009, p. 160). Judging when learning starts and ends is also difficult (Sharples, 2009). Methodological challenges inherent to mobility may also be further compounded in instances of informal learning, which has always been difficult to research since it remains often unacknowledged by the learner (Foley, 2001; Hrimech, 2005) while historically being valued less than its formal counterparts (Colley, Hodkinson, & Malcolm, 2002; Marsick & Watkins, 1990).